Infront Sports & Media, the EHF's exclusive media and marketing partner for the EHF EURO events, has secured Gorenje, one of the leading European home appliance manufacturers, as a new official sponsor for the Men’s EHF EURO 2018 and 2020. Gorenje will initiate its first activation by making an appearance at the draw for the Men's EHF EURO 2018 in Zagreb on 23 June 2017. The rights package for Gorenje includes strong brand positioning in camera view around the court - through advertising spots on LED boards and floor stickers at both events. 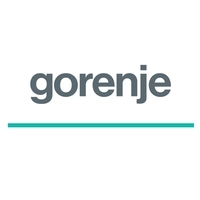 Furthermore, Gorenje can use the sponsorship for their digital content production and take advantage of logo integration across the EHF website, activation rights on site as well as a ticketing and hospitality contingent for both events. Recognising the value of one of Europe’s most popular indoor sports, Gorenje has immersed itself in the sport of handball for several years as naming sponsor of the Slovenian top handball team - Gorenje Velenje – as well as through a recently signed sponsorship agreement as 'Official Regional Premium Sponsor' of the VELUX EHF Champions League. Franjo Bobinac, Gorenje's president and CEO said: “The EHF EURO – as a flagship handball event - complements our various handball activities perfectly. With this partnership we want to boost recognition of the Gorenje brand in key markets and reinforce our cooperation with business partners. The next edition of the EHF EURO will take place in Croatia, with Infront providing LED boards behind the goals for the first time ever - offering sponsors even greater exposure. Gorenje will be one of a maximum of eight official sponsors for the event alongside: Intersport (sporting goods retailer) and engelbert strauss (functional work-wear manufacturer), both of which have already signed up for the 2018 event. Further sponsors are to be announced shortly. For the EHF EURO 2020, taking place in Sweden, Austria and Norway, the participating field will be extended to 24 teams, which will allow sponsors greater exposure than ever before.